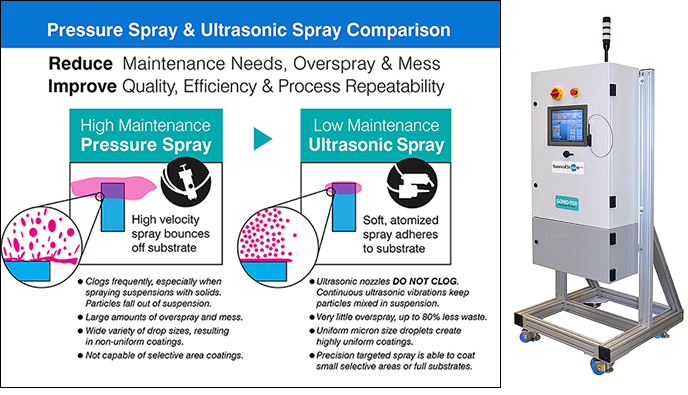 A complete ultrasonic spraying platform designed to easily integrate with existing equipment. The system is comprised of an ultrasonic nozzle with spray shaping assembly, control enclosure, and a choice of liquid delivery systems. Changing from conventional air spray to a Sono-Tek ultrasonic atomizer can result in reductions in spray material of up to 75% as well as tighter process control and improved efficiency. 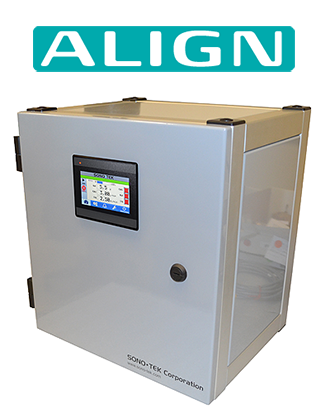 ALIGN is a complete, versatile ultrasonic spray platform. The platform is paired with customer choice of ultrasonic nozzle, liquid delivery system, and air/gas control system, all controlled through a simple touch interface display. Many different options are available for ultrasonic nozzle, liquid delivery and air/gas control, depending upon application requirements. 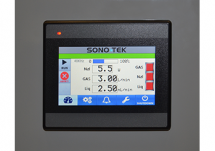 Sono-Tek’s application engineering experts will provide recommendations for each. Flow rate range: 0.5-15 ml/min.